All About Healthy Living Foundation is a 501(c)(3) non-profit organization, based in Fort Lauderdale, Florida, with the mission to promote, inspire and educate people on healthy living for a better quality of life. AAHLF advocates for preventative healthcare. We promote awareness and practicing of healthy holistic (total body) positive behaviors through communities and social media. Our focus is on the mind and body; being physically active, eating healthy and staying less stressed. 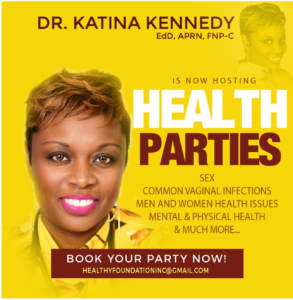 Founded in 2016 by Dr. Katina Davis-Kennedy, who felt the need to educate and inspire people on healthy living (especially in the African American community), the foundation promotes health and wellness, and getting others to be physically active and maintaining a healthy lifestyle. All About Healthy Living Foundation Inc. focuses on staying physically fit for managing and treating chronic diseases, such as high blood pressure, high cholesterol, diabetes, anxiety/depression and much more. What can the foundation do for you? Health education through speaker presentation at your event, and instruct group exercise classes in order to build awareness and encourage a healthier lifestyle. Please email us for further information regarding the aforementioned services. Our foundation runs solely on donations and funds college scholarships to deserving high school seniors whose college major is geared toward health science. 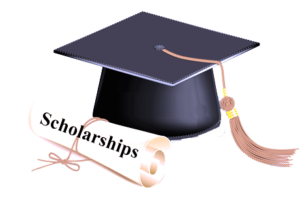 We provide scholarships for nurse practitioner students, as well. CLICK ABOVE TO DONATE TO ALL ABOUT HEALTHY LIVING FOUNDATION. 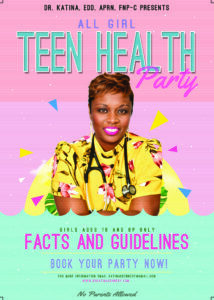 Teen Health or Women's Health/Girls Night Health Party.